Welcome to Honalee, an enchanted land of imagination and love where you can share in the adventures of a legendary magic dragon! Join in with Puff and his human friend Jackie Paper as they sail around the world, meeting kings, nobles and pirates! The timeless Peter, Paul and Mary song is now an unforgettable children’s book full of captivating, dreamy illustrations by Eric Puybaret. Follow the story as Jackie plays with Puff until he grows too old for children’s games, and then returns, bringing his daughter to meet Puff at the book’s close. 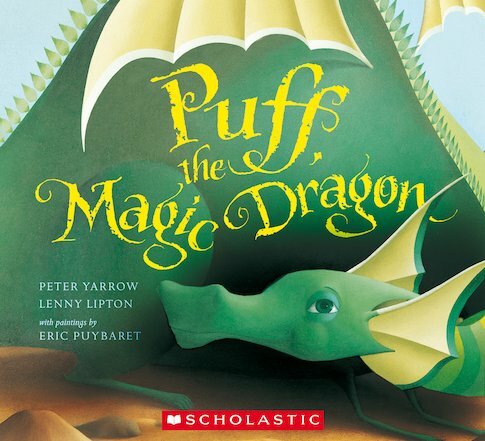 This dreamy and magical retelling perfectly conveys the charm of Puff’s much-loved story.